Do you remember your childhood pet? Of course, you do -- and for many good reasons! As many studies and articles have reported, there are several profound psychological benefits from positive bonds made with children and their pets. Imagine these benefits amplified from having the world's most intelligent family dog that is gentle and plays with the kids, yet would protect your family to the very end. Your canine would know not to pull. Your child can learn how to work with the dog, developing their own skills with the aid and patience you can expect from the world's most elite canine. Your dog would ensure your family's safety, knowing everything about your home and surroundings, fully aware at all times and knows a breadth of detailed commands, listens and obeys. Priority One Canines receive the world's best training. 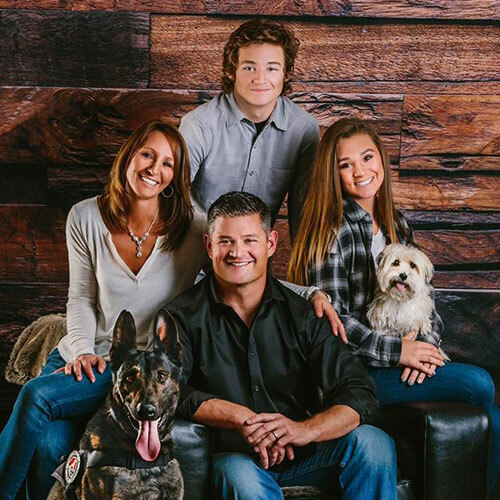 Our delivery process and training includes a 3 to 4 day in-person training process that is unparalleled, thorough and custom to your family and home for a super smart protection dog that is a loving part of the family. Are you ready to take the next step toward owning one of the world's very best dogs?